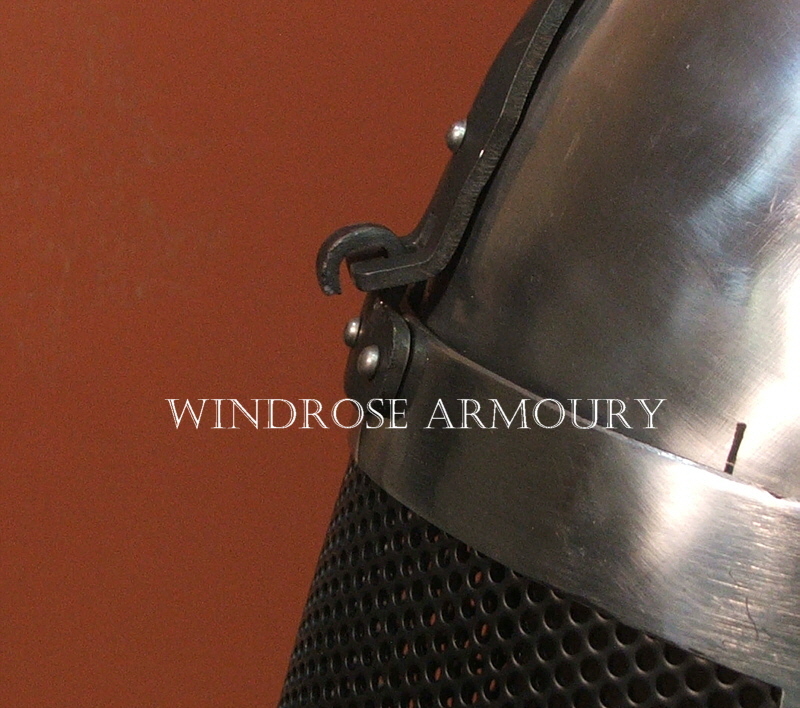 Fiore Sparring Helmet, Stainless Steel, Large [FioreLSS] - $725.00 : Windrose Armoury, We Bring History To Life! 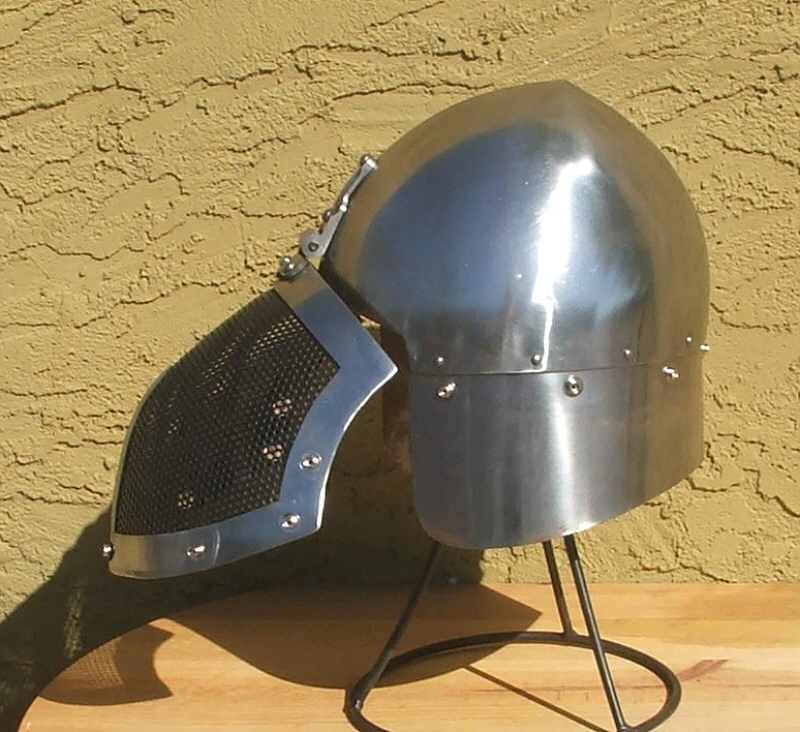 Made with input from our friends in the WMA community, the Fiore sparring helmet is constructed of 16 gauge stainless steel throughout. 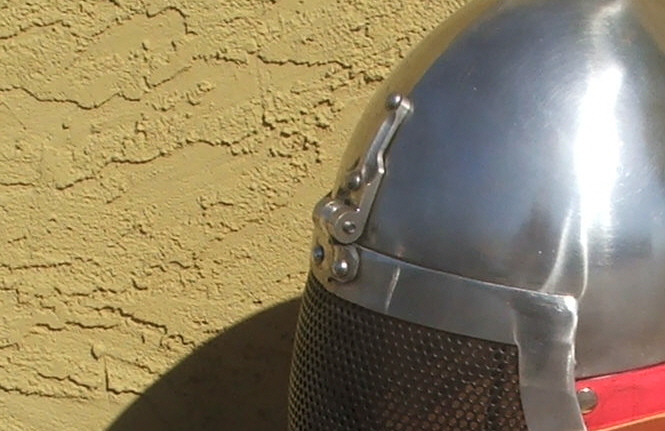 The standard waterjet pierced face offers authentic appearance, outstanding vision, breathing and protection, while the short back plate offers protection without impeding mobility. The center pivot visor is attached using a simple non-interchange hinge. 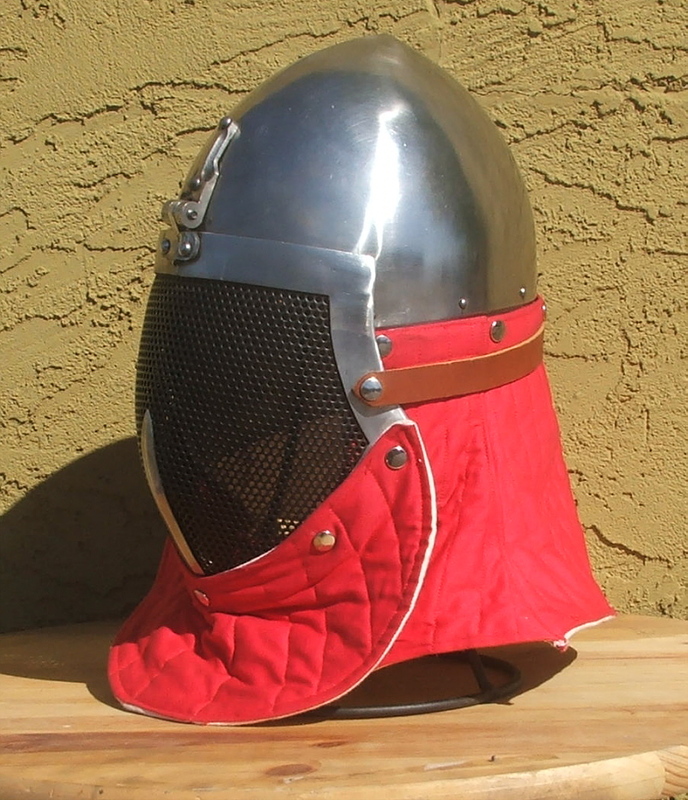 Large fits a head 24" to 24 1/2" with a 1/2 inch layer of padding. The cloth bib and drape combination is made to pass an SCA style punch test, using layers of cotton or linen and a light padded core to add protection for the wearer's neck and throat. 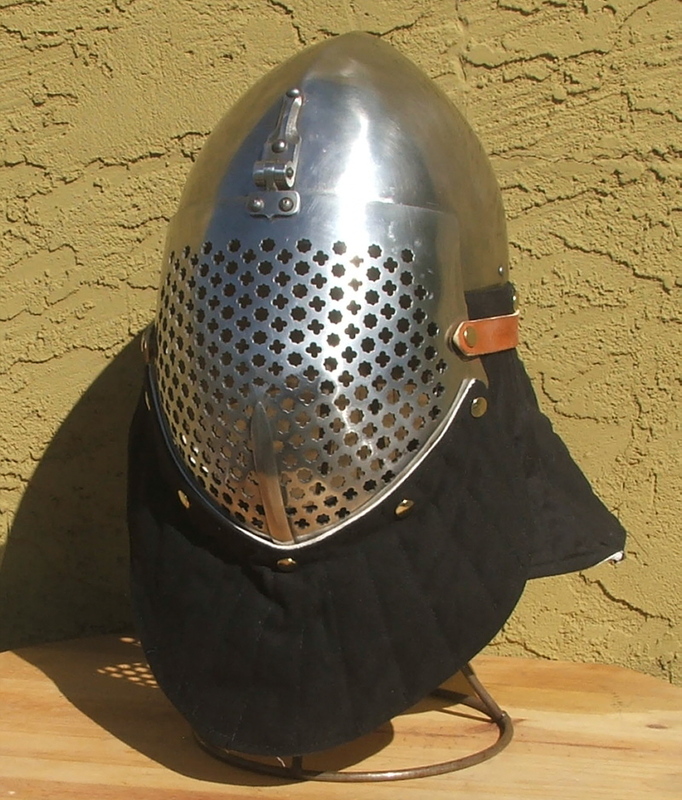 This is not intended to replace a gorget of some fashion, but to add another layer of protection.